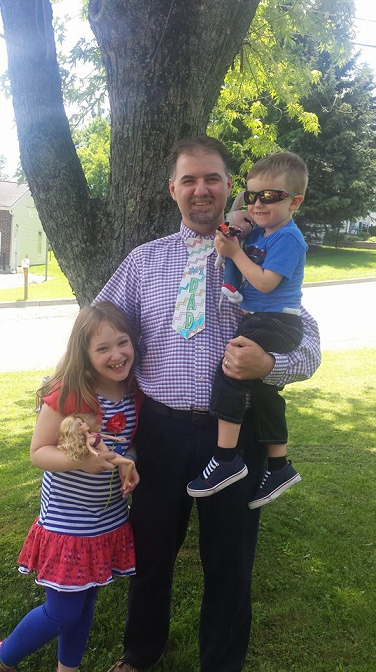 Rich with Hailey and Hunter on Father’s Day- he’s wearing the tie that Hailey made for him at church. 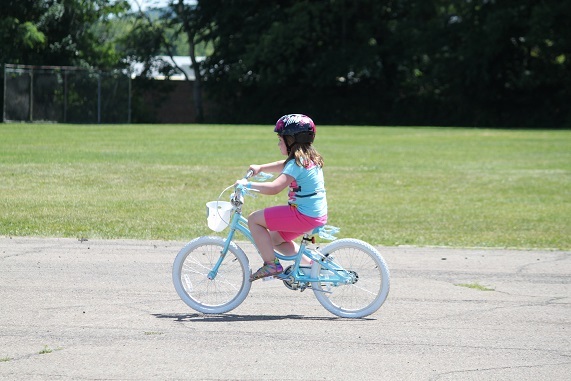 Hailey learned to ride her bike! We live on a hill, so she doesn’t ever have a chance to practice riding her bike. We took her to a nearby school one day with a nice flat area to learn and off she went! 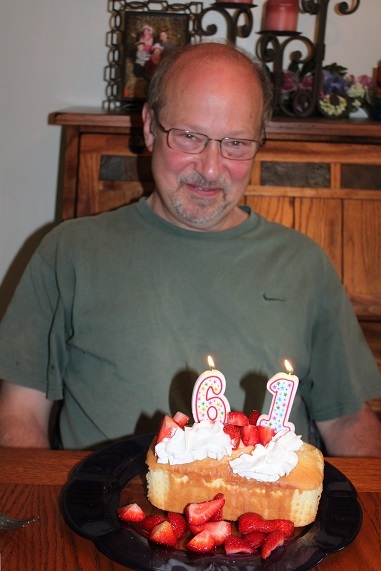 We celebrated my dad’s birthday. 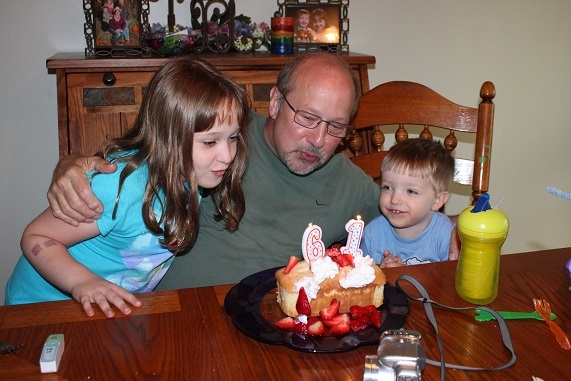 Hailey and Hunter helped him blow out his candles.